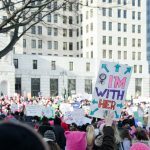 SIGNS AT THE ALBANY MARCH FEATURE common themes of advocacy for women's rights and equality. 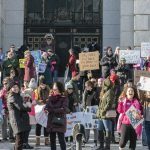 On Saturday, I attended the Women’s March in Albany, one of many marches to pop up around the country in remembrance of the Women’s March in Washington, D.C. last year. 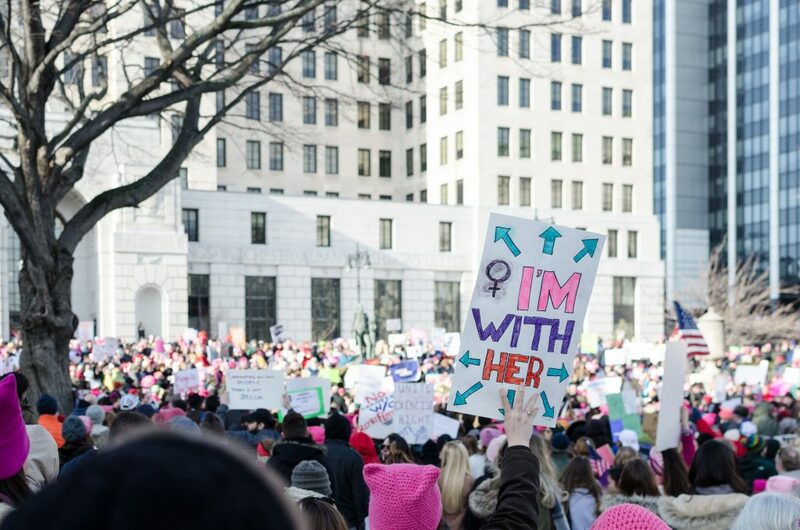 It was attended by thousands of people, and not just women. 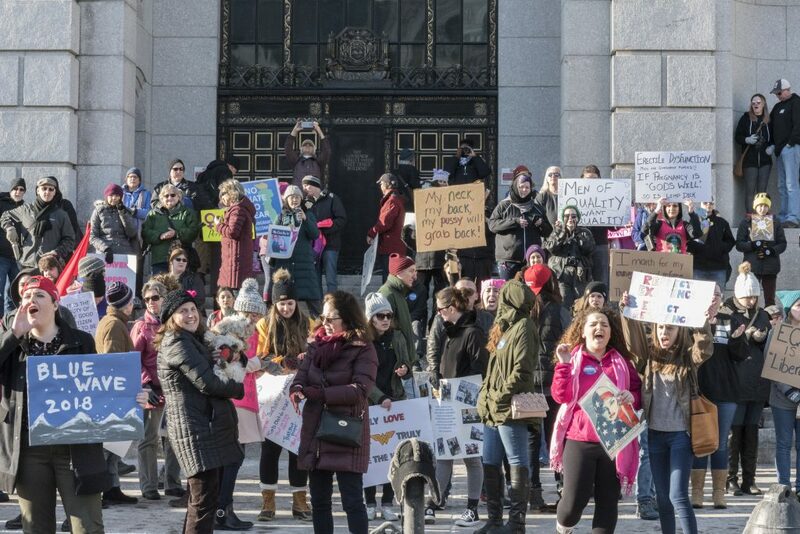 The rally was dominated by women protesting the treatment of women—with a good amount of male supporters—but it wasn’t exclusively feminist marchers. Many were there to express their concerns over many problems. 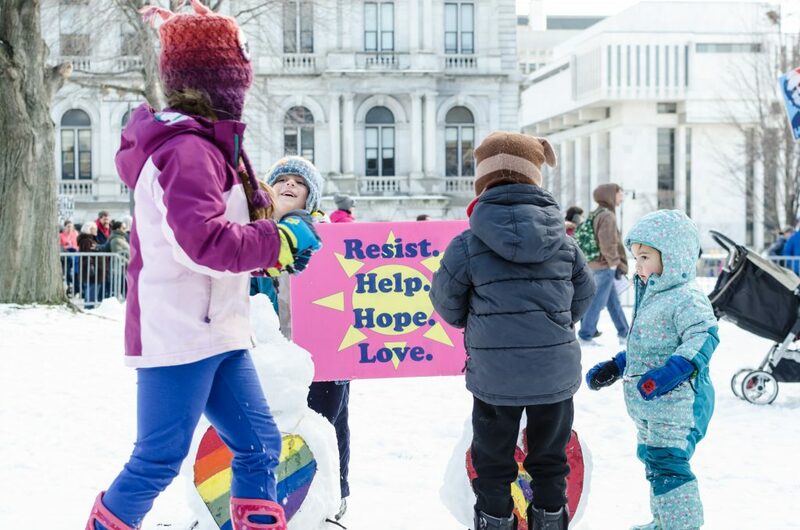 Some of the common themes included support for the LGBT+ community, support for Dreamers and Deferred Action for Childhood Arrivals, support for refugees and immigrants, general concern over the state of our democracy, and even support for animal rights and veganism. 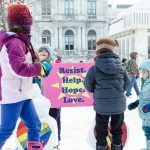 The rally was full of positive vibes, colorful posters, and moving speeches. I personally recommend going to any large rally. You can attend in support of almost anything and still be received with open minds and positivity. 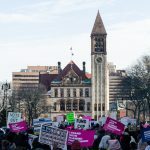 With Donald Trump’s approval rating hovering around 39.5 percent, I was surprised there were less people at the rally than the one held last year. All of the friends and family I’ve talked to over the past year—excluding just a couple people—have expressed disapproval of our current president. Some are more disapproving than others, but none are really approving—yet their anger seems to have died down. You can keep expressing your opinions through marches and through votes. Midterm elections will happen later this year and it’s important that people stand for what they believe in. All 435 seats in the House of Representatives and 33 of the 100 seats in the Senate will be ready for change. If you are unhappy with this presidency, you can get up and do something. 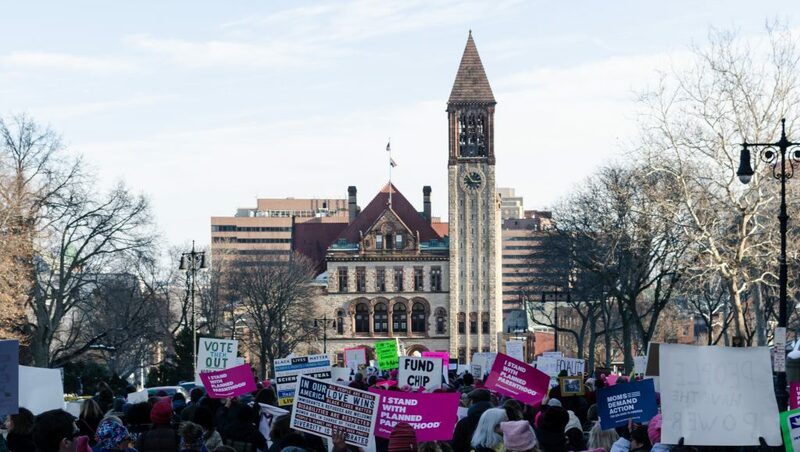 Get up and march, go to rallies, make posters, and, most importantly, get out and vote.